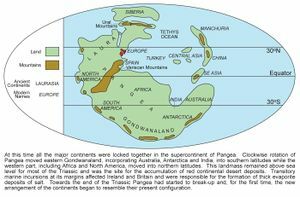 The supercontinent of Pangea continued to exist into the Triassic (P947845) . 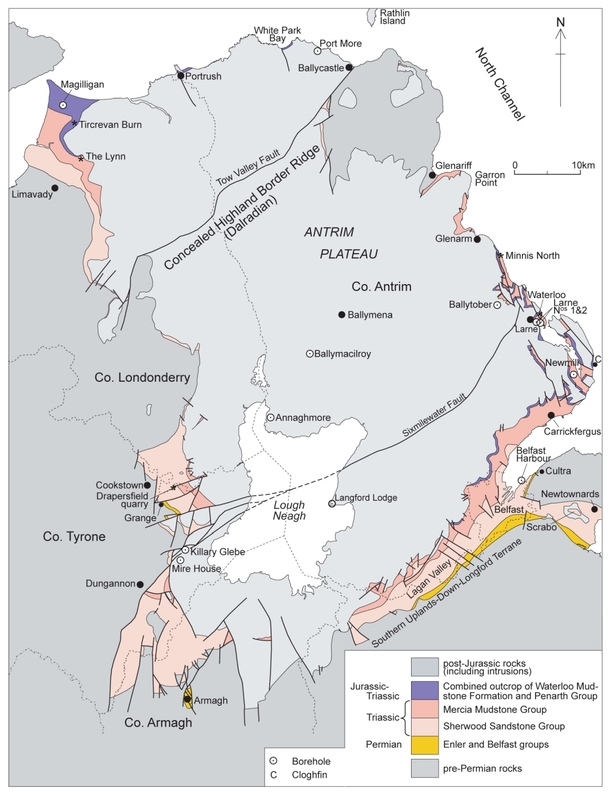 Triassic rocks in Northern Ireland (P947841) overstep the Permian basin margins and rest unconformably on older basement including the Dalradian and the early Palaeozoic rocks of the Southern Uplands-Down-Longford Terrane. 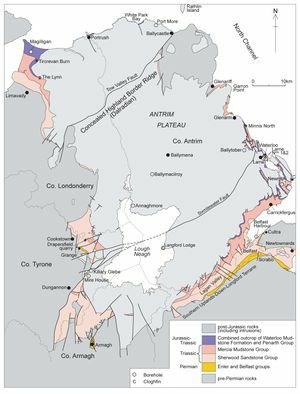 Sedimentation appears to have been continuous across the Permian system boundary but the rocks are undated. 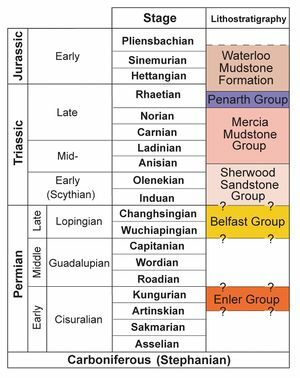 Thus, for convenience, the base of the Triassic is equated with the base of the Sherwood Sandstone Group (P947937). 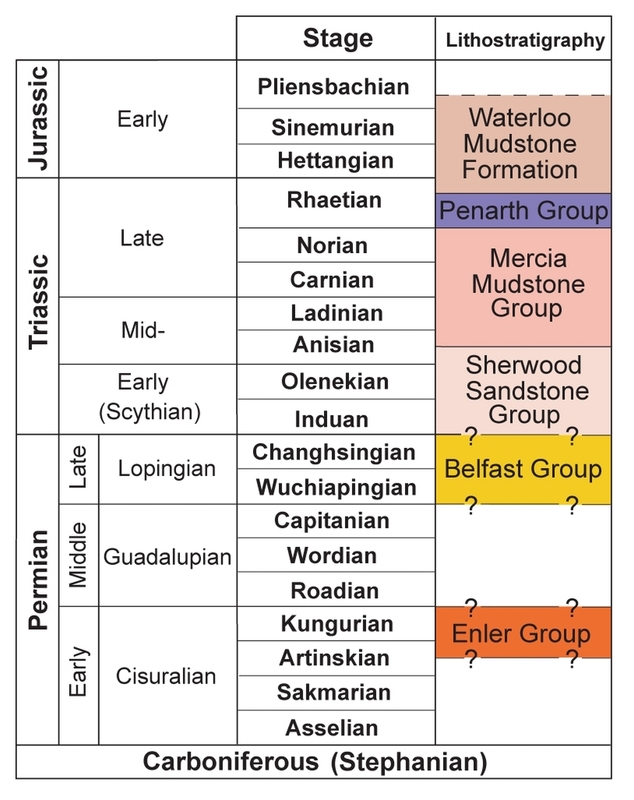 The Triassic rocks are divided into the Sherwood Sandstone Group (formerly the ‘Bunter Sandstone’), the Mercia Mudstone Group (formerly the ‘Keuper Marl’) and the Penarth Group (formerly the ‘Rhaetic’). 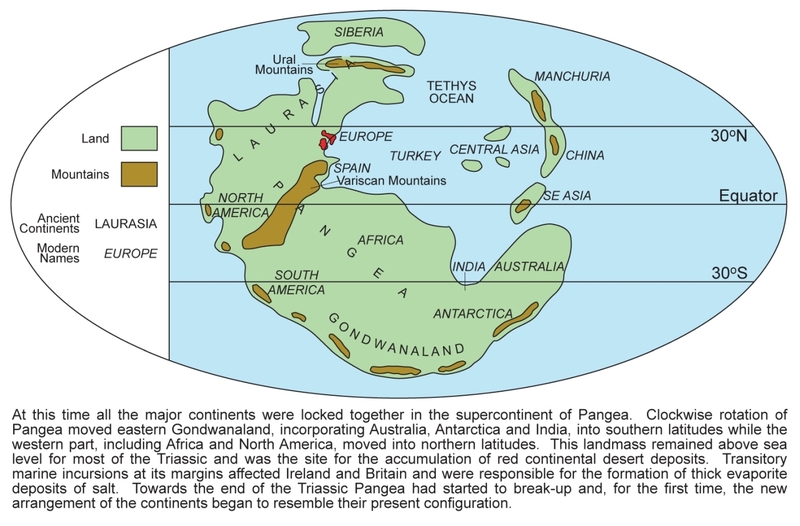 The latter is succeeded conformably by the Waterloo Mudstone Formation which, although largely Early Jurassic, is latest Triassic at the base. This page was last modified on 25 September 2017, at 14:07.